Returns - JUGs Indian Furniture and Accessories -Sad for you. We hope that you are happy with your purchase but if you change your mind then you can return the item to us within 14 days of receipt for a full refund. The first step is to call or send us an email regarding the return (within 10 days of receipt) and from there we will assist in arranging the collection of the item if needed. Please note that we are unable to refund the shipping costs or pay for the return shipping costs of the item. 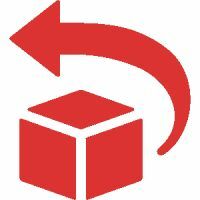 Also note that the return collection cost may be higher than you paid for delivery as we subsidise the deliveries ourselves to keep your costs as low as possible. We check all items before we ship them to you but if you find any faults with your item please inform us within 48 hours of receipt. We can then assist in rectifying the product and arranging the return to us if need be. If the fault is ours we will obviously cover all costs incurred. You can cancel an order at any time before it is booked in with our shippers for a full refund. Please contact us on the time scale. Any order cancelled once shipping is booked means you will incur the shipping costs to return the goods to us, as stated above.